Recently, Bombay High Court ordered Brihanmumbai Municipal Corporation (BMC) to put red flags around open manholes in the city so that people don't fall into it. Time and again, manholes have made headlines for causing accidents. However, while the authorities are taking precautions for safeguarding passersby, little action has been taken when it comes to manual scavengers, who have to dive into these manholes for cleaning them. Though, manual scavenging is prohibited in India under "The Prohibition Of Employment As Manual Scavengers And Their Rehabilitation Act, 2013", it is still practiced in the country. According to human rights organisation, Safai Karamchari Andolan, there have been 1,560 scavenging-related deaths since 1993 in India. In November 2015, a manhole accident in Kozikode caused outrage across the state of Kerala and drew attention of authorities. A man, who was measuring the depth of drainage before he could enter and clean it, fell into it and fainted. Another worker who tried to save him too fell, and then a third person, an auto rickshaw driver, was also sucked in while trying to save them. All three men died due to suffocation. The incident made authorities look for a solution to end manual scavenging in the state. The incident was a trigger for robotics start-up Genrobotics, which after a request by the authorities, built a manhole cleaning robot. The start-up, founded by engineering graduates Arun George, Vimal Govind, N.P. Nikhil NP and Rashid K, has been supported by Kerala Start-up Mission. After two years of extensive research and trial, they launched the product in February 2018. Called 'Bandicoot', the four units of the robot have so far been deployed by the states in Kerala, Andhra Pradesh and Tamil Nandu. And now the company, which plans to sell 800 units in next two years in India, is trying to expand it to other states as well. According to co-founder Rashid K, one unit of Bandicoot costs around $36,000 or Rs 25 lakh and can clean 300 manholes per month. Rashid says that the robots have been designed in a way that they could be handled by the manual scavengers. The company will provide training to them. Genrobotics has been funded by Unicorn India Ventures and individual investors such as Google India MD Rajan Anandan and Lalit Jain and has already generated half a million revenues so far. 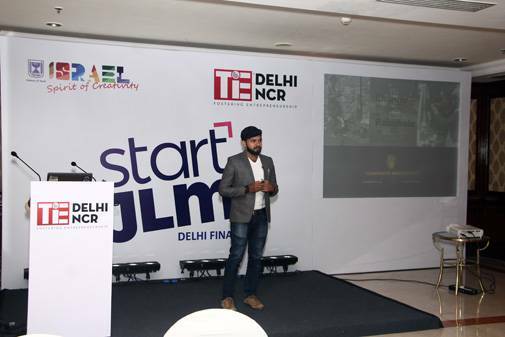 Recently, the company was chosen winner at TiE Delhi-NCR hosted Start-up Jerusalem competition in New Delhi. It will represent India at the Startup JLM Festival, held in Israel's capital in November this year. It is also one of the ten start-ups selected by Google for its first batch of start-up accelerator programme in India. Going ahead, the company plans to tie-up with large companies for deployment of these robots across the country.